This event was a transition point from discussing about the issue of vacant spaces, to working towards taking action and actively begin to address solving the problem. 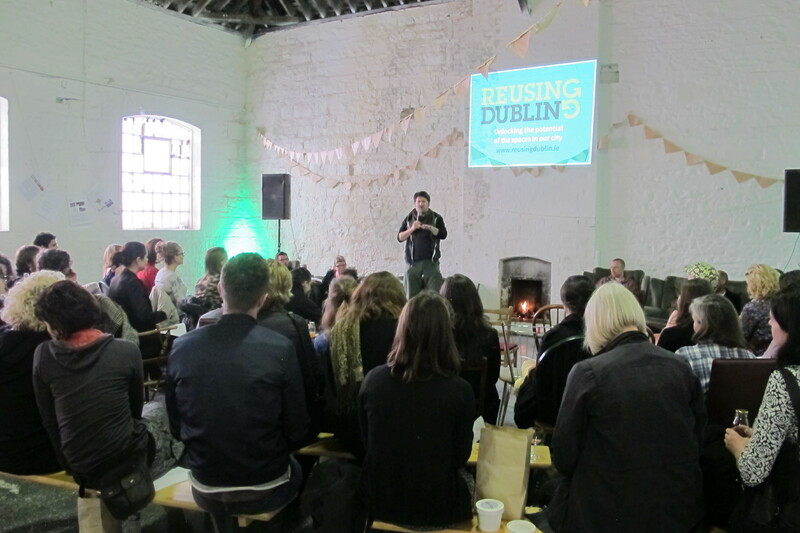 We collaborated with Reusing Dublin and had this event to launch their vacant site mapping application in a manner that could connect the creators of the app directly to their potential users. We had pop-up speakers representing different perspectives on the issue of reusing space. Following this, there was a break out session for action initiatives. We had facilitators and note takers at each table to record some of the ideas people had for taking action, which were then share on a large group poster for all to see.